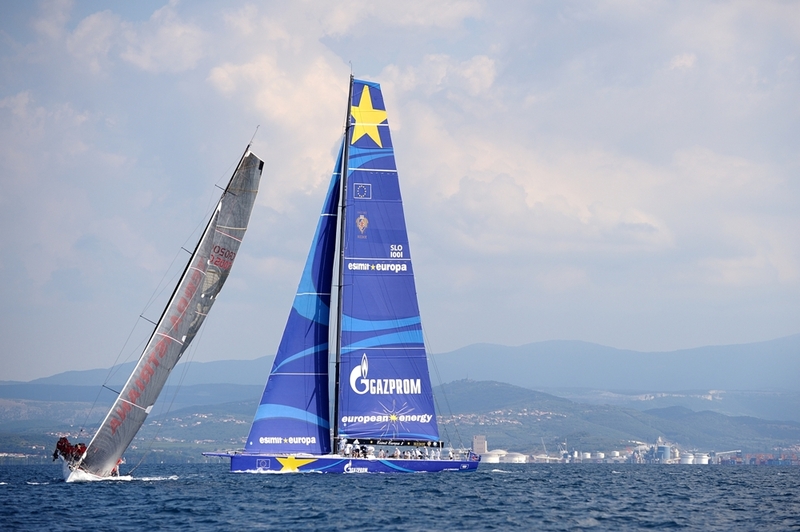 The European-flagged Esimit Europa 2 – which competes for the Slovenian Sailing Federation – showed its dominant form by winning the Diplomatic Regatta in the maritime city of Izola. It took the crew 56 minutes to achieve its 26th line honours victory. Helmed by four-time Olympic medallist Jochen Schümann, the multinational Esimit Sailing Team took its mission seriously and impressed the mass of spectators at the regatta field between the Slovenian cities of Izola and Koper. Following the Diplomatic Regatta tradition – where professional sailors are joined by guests selected from a draw – organisers say the professionals were joined this year by over 50 diplomatic consular missions accredited in Slovenia, along with representatives of the Slovenian Ministries and the Government. On board Esimit Europa 2 was Sara Stepanjan, honorary consul of the Republic of Armenia to Slovenia. “It is a proud achievement for us to take line honours on home waters for the first time. I am especially happy that this is the Diplomatic Regatta, the mission of which closely resembles ours – strengthening ties on sports, business and diplomatic levels,” said Igor Simčič, founder of the Esimit Europa project. This was the 11th consecutive edition of the Diplomatic Regatta, a sports and social event which traditionally takes place in Izola on the second Saturday in September. The Ministry of Foreign Affairs of the Republic of Slovenia is honorary sponsor of the regatta and its organising committee comprises members of Diplomatic assembly and Sailing Club Veter.